By implementing a specific custom row behavior, developers can change the default row functionality or supplement the existing one. Let’s start with constructing a hierarchical RadGridView and populate it with data. 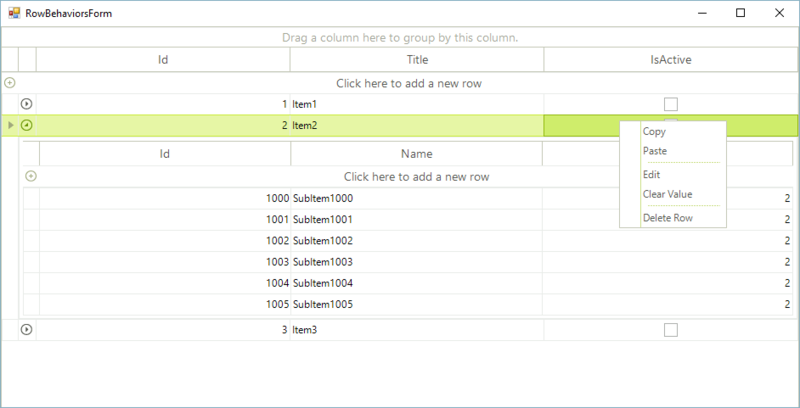 Following the demonstrated approach, developers can customize not only the hierarchy rows, but the new row for example, implementing a custom GridNewRowBehavior and registering it for the GridViewNewRowInfo.